How are you all going, I hope your week has gotten off to a good start? Getting "organised and on top of things" continues to be a theme of mine. I'm hoping that this isn't just a phase, but more of a permanent habit of how I'm going to continue to be.....fingers crossed! As per usual I'm making daily lists. It's nice having a list each day that's doable and not too long. It"s far less daunting and more manageable than my usual million things todo. I"d always be so overwhelmed as to how I was going to be able to get everything done. Now that I've had the mega sort out of my yarn (as mentioned in my last post), It"s time to get started on a new project. I had something in mind after seeing a post by Tiffany from Daisy Farm Crafts on Instagram. 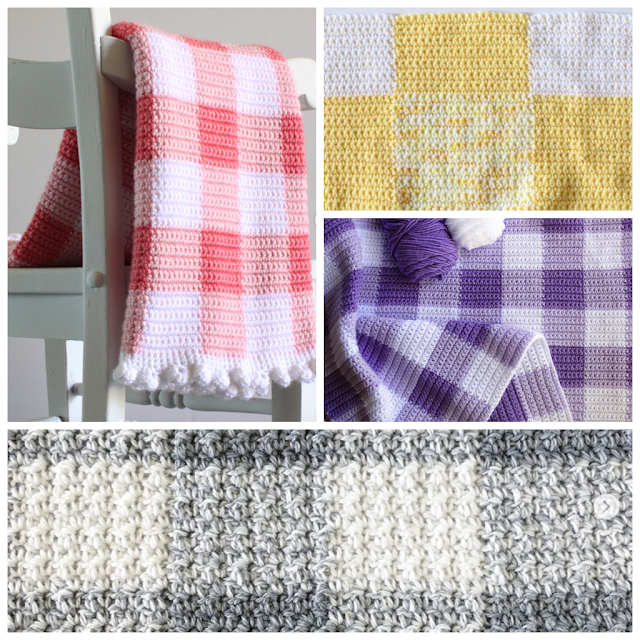 Her Gingham blankets were gorgeous and I noticed that she had a full tutorial up on her blog. .. Perfect!! 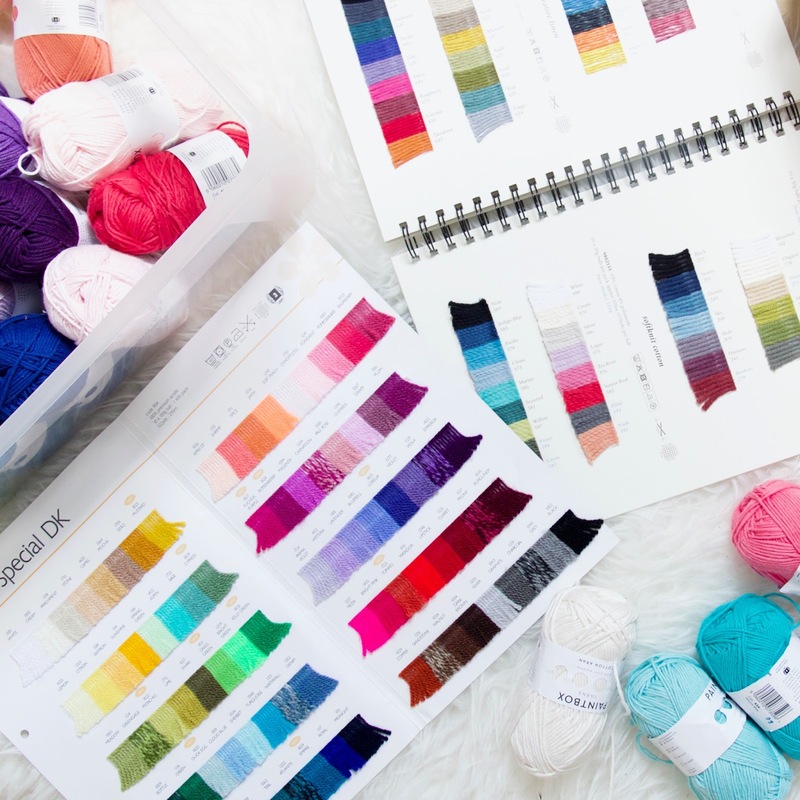 I popped over to her blog and read the instructions on how to make the blanket. Along with the instructions Tiffany explained the importance of finding the correct colours of yarn for this project. With her advice in mind, I sat down and had a raid of my new paintbox yarn and played around with some different colour combinations. 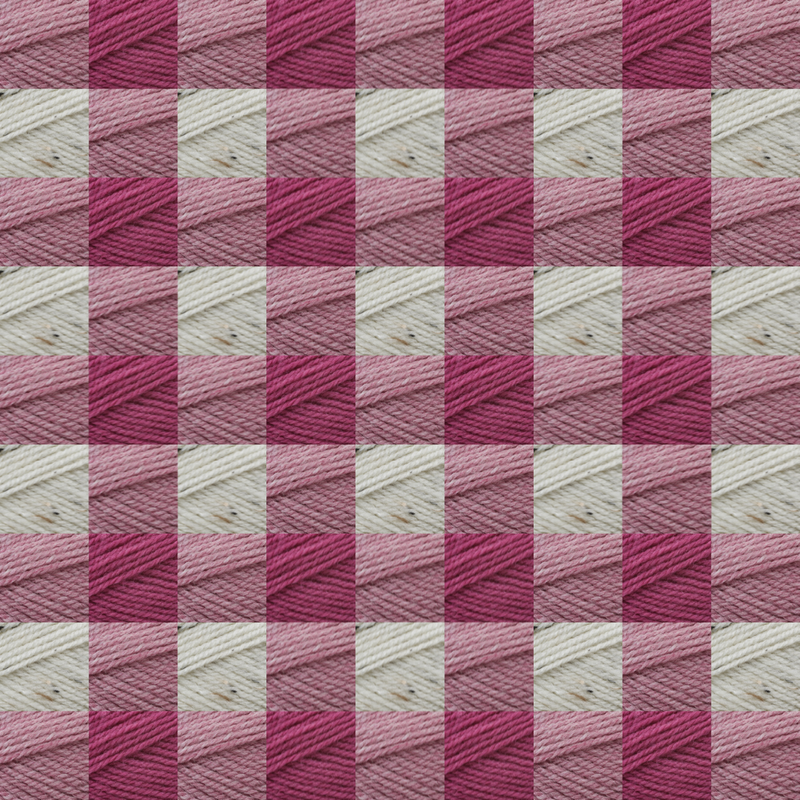 Along with my new yarn I had a flip through the sample booklet I had from Stylecraft, it was tricky trying to find colours that would work well together, in order to create the desired effect of true Gingham. 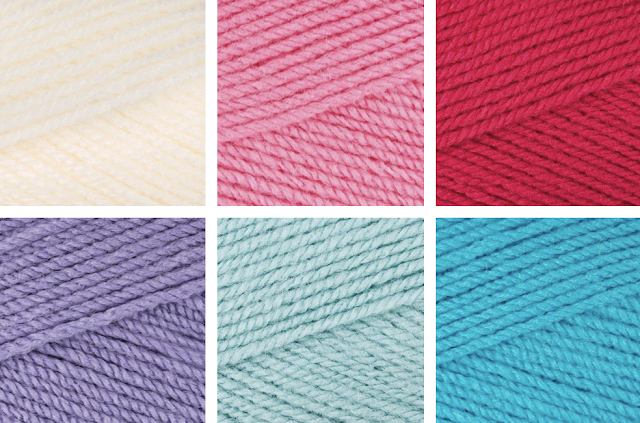 From the paintbox yarn I came up with a rather jolly combination. It used a combination of 6 colours instead of the 3 used in Tiffany"s tutorial. I took some pictures of the colours and arranged the photos in order (using Diptic). 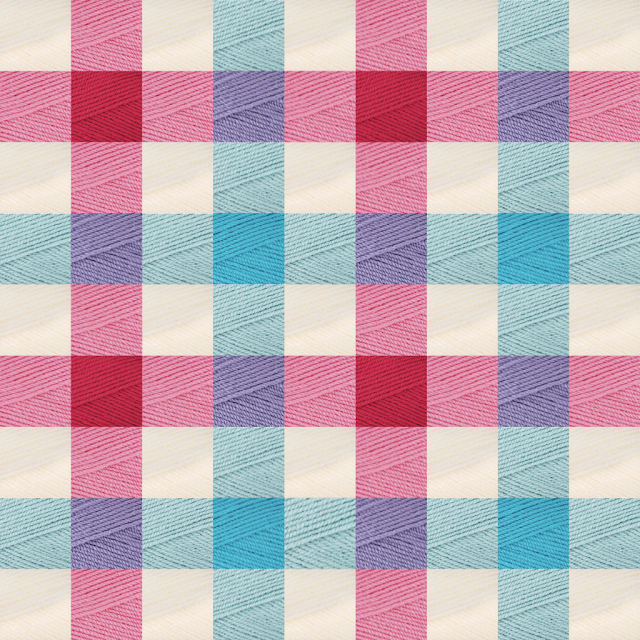 This gave me a rough idea of what the blanket could look like with this specific colour combination. I think that this could look wonderful! My only concern was that I had too many colours to work with and that the blanket would be an absolute nightmare to work up. 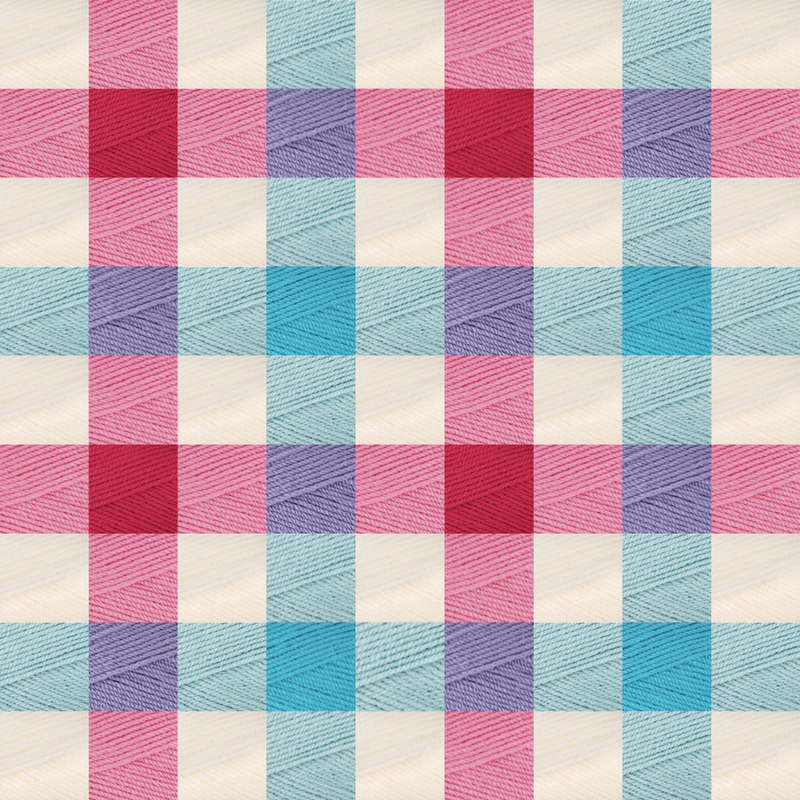 I continued to play around colour combinations and had ago at coming up with a 3 colour option, as used in the tutorial. I chose these colours from the Stylecraft Life range. I loved them because of the rustic tweed look. I liked the look of this! 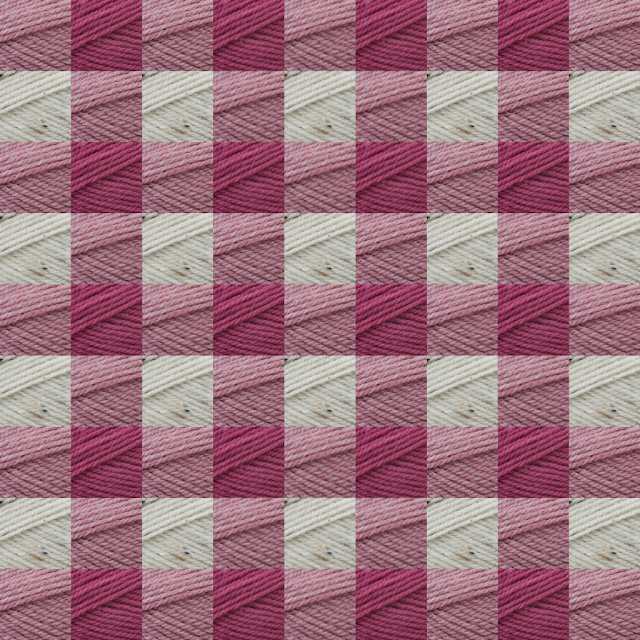 Nice deep pinks with a slight tweed fleck. I think this was going to be the one! 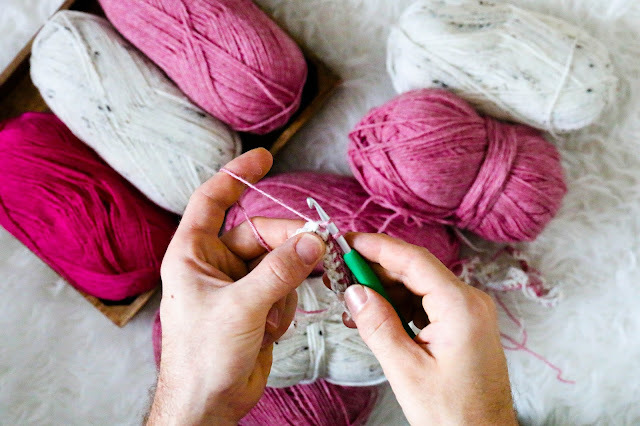 I ordered the yarn and let it sit on the shelf in my craft room for a couple of weeks. I'll keep you posted on how I get on with it! I'm currently working the dreaded foundation chain! BLURGH!!! Hope you're having a spiffing week? Thanks Angie! It"s taking me a little while to get the hang of it.....perseverance is the key!!! Hey Matt, I have just been given the lovely Animal Heads crochet book for my birthday this week and feel very pleased to have found your youtube tutorial that helps us through the tricky bits! Thank you for taking the time to do this. Also have enjoyed scrolling through your blog which I will keep returning to to see how you do with the gingham blanket. I looooooooooove that book!!! I'm so glad the youtube tutorial was of some help! Which head are you making first? Hey Matt, it looks like you had a nice birthday break, lovely pics. I have made the little mouse head to begin with and it turned out perfectly, I'm now starting on the hare, they are such fun! It's slow going at the moment, but I'll jeep you posted!